This four-season porch is heated and used year-round for entertaining. 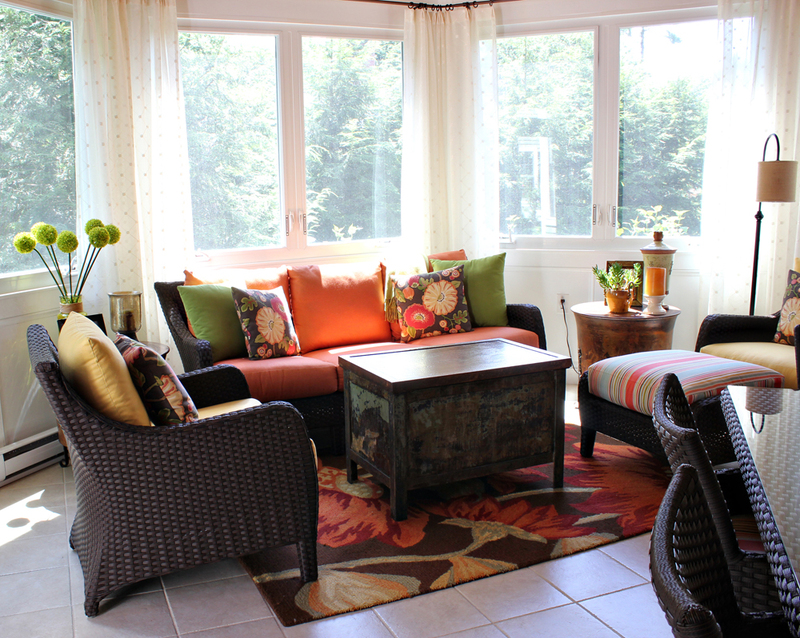 The design incorporates cheerful colors and non-traditional outdoor fabrics and sheer, flowy window treatments. The coffee table is a repurposed metal bin previously used in manufacturing.